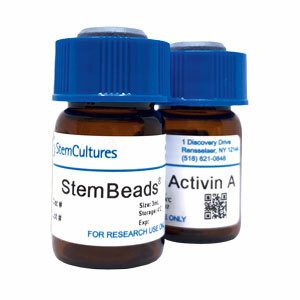 What Size StemBeads® Activin-A is Right for You? ** As StemBeads maintains constant levels of protein, the user may need less than the suggested amount of StemBeads. Optimization will be needed to determine this.